A range of Stäubli products is displayed, offering weavers and knitters solutions that are perfectly adapted to their specific needs and requirements: from automation of weaving preparation to ultra-reliable shedding solutions for frame and Jacquard weaving to a revolutionary device that drastically shortens the sock-knitting process. 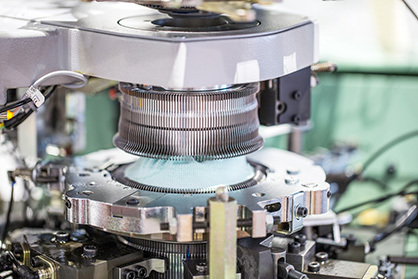 With its renowned SAFIR automatic drawing-in machines – especially the SAFIR S40 and SAFIR S60 – Stäubli offers unique solutions for weavers seeking to improve their weaving preparation process and their production of denim, linen, and shirting fabrics. These machines support just-in-time processing and boost the production of premium-quality fabrics. They are highly flexible in use and can be easily adapted to future applications. All SAFIR models feature AWC technology, including optical double-end detection as standard. Among the many advantageous features to be discovered are optional colour or S/Z-repeat sorting and management for perfectly prepared warps. Visitors will also see the TOPMATIC 201 PC automatic warp tying machine. This is Stäubli’s tying solution for fine-to-standard yarns in the yarn range from 0.8 to 500 tex. The machine features double-end detection and works reliably even with flat warps without a lease. In addition to flexibility, weavers profit from the long service life. 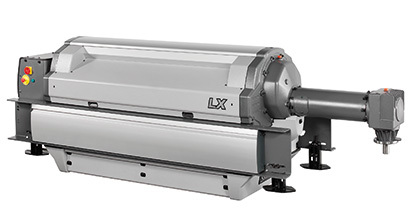 Mills processing sectional warps will be excited to learn about the recently launched BEAMPRO warp reading-in machine for an improved sizing process. It makes manual reading in a thing of the past. Stäubli’s know-how in yarn handling promises decisive benefits to textile mills, from significant time savings to increased quality. With an optimised housing and high-performance lifting mechanism, these machines operate reliably even under the most demanding conditions in the mill. The maximum number of hooks for Jacquard designs is 25,600 – or 51,200 hooks by combining two machines. 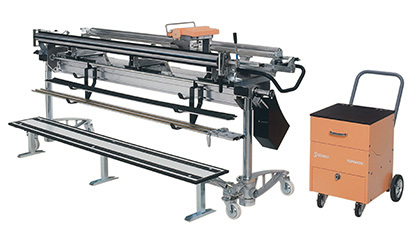 Adaptable to all types of machines, whether air jet, rapier, or water jet, the SX Jacquard machine produces excellent results in the form of terry cloth, decorative materials, or silk fabrics as well as textiles for tapestries, apparel, or seat covers. Stäubli’s broad product portfolio includes solutions for frame weaving with air-jet, water-jet, rapier, and projectile weaving machines. A recent addition is the new, highly robust 1692 cam motion, available with up to 8 lifting units, operating at a pitch of 12mm. With it, weavers can easily produce high-quality fabrics as the machine assures gentle warp treatment. Its automatic and fully integrated levelling device prevents overstretching of the warp and eliminates start-up marks. The interchangeable cams give mills maximum flexibility as the same cams can be used for creating both a warp and a weft effect. Stäubli has the ideal solution for water-jet weaving: the S3061 model of the S3000/S3200 electronic rotary dobby series. It features the famous Stäubli concept of selection of heald frames by locking for secure frame selection and continuous weaving. The dobby is compatible with all the major brands of weaving machines, and customers can choose the machine that best matches their requirements. The dobbies feature the new maintenance-free de82 harness motion and quick-link systems for heald frames. The shedding system adapts to the weaving parameters of the weaving machine and is highly economical to operate. The recently launched D4S toe-linking device is becoming indispensable in more and more knitting mills. This ingenious device sews the toe closed while the sock-knitting machine simultaneously produces the next sock. The precise operation of the device ensures perfect linking quality. Thus, the D4S answers several key challenges in knitting: minimising idle time, delivering higher-quality and higher-volume output, and reducing waste material, the increasing price of which eats into profit margins. Installing the D4S device on a sock-knitting machine promises a quick return on investment for the mill. In addition to more efficient production, the mill will also benefit from enhanced operator convenience and expanded functionality, especially thanks to the independent 2900SL electronic controller. Stäubli is committed to helping customers realise the maximum benefits from their machinery for the long term. Stäubli offers training, technical support, and spare parts even many years after the sale.